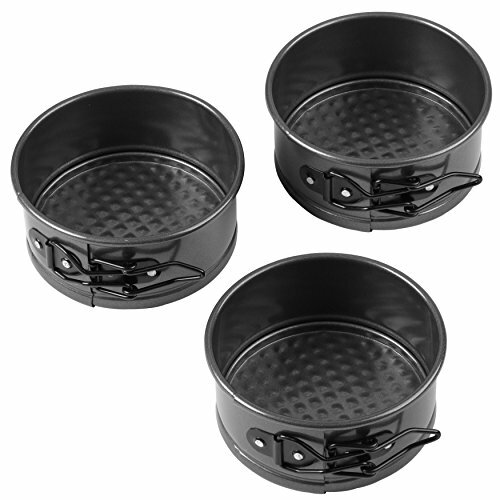 You can create mini cheesecakes, individual quiches and more with this set of 3 small springform pans. They have a non-stick surface and a reinforced coating for easy release and quick cleanup. Each measures 4 inches in diameter.